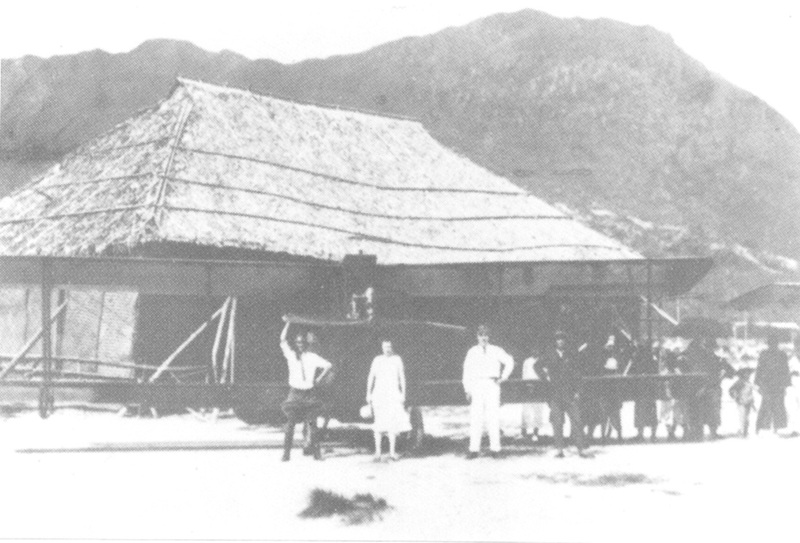 City Field and from a mat-shed hangar established the Commercial Air Company. Reginald Earnshaw, a friend of long standing and a gifted aircraft mechanical engineer, became the colonel’s right hand. 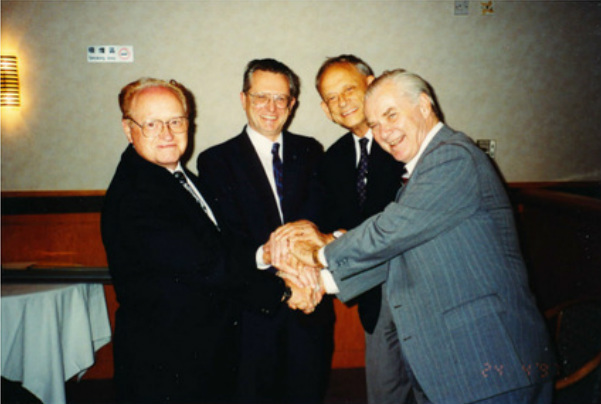 However, their dream as aviation entrepreneurs met its first set back – the company had no aircraft. They turned Hong Kong topsy-turvy until finding a crashed Curtiss JN-4C (Canadian) Canuck. 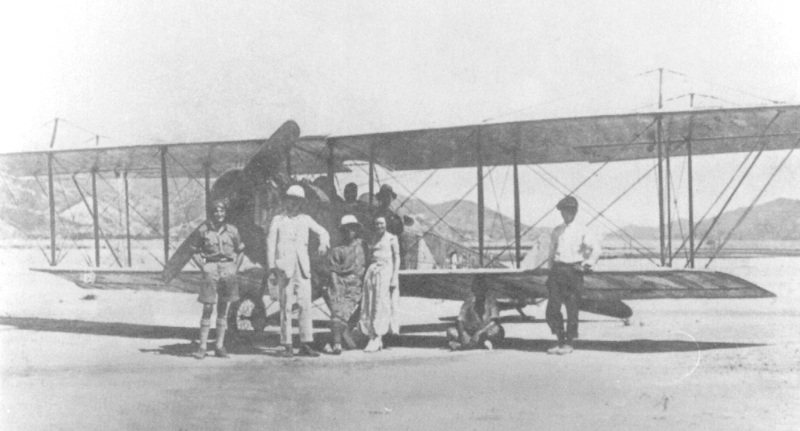 The Chinese owner Mr. Lim On had burst onto the Hong Kong aviation scene in 1921 and captured the moment with several exciting demonstration flights. 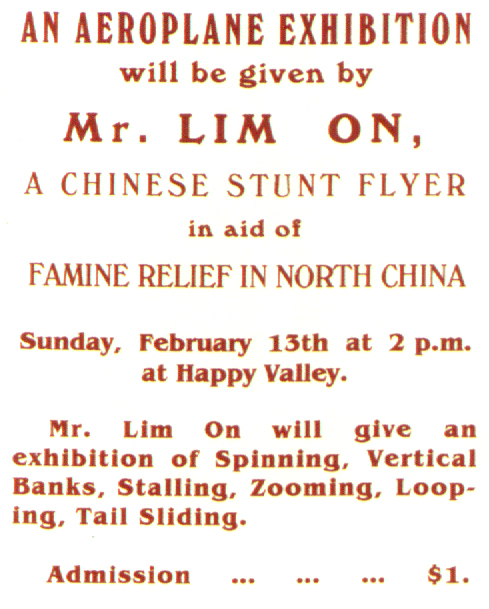 In 1922 famine came to North China and when Lim On decided to raise funds for famine relief the media enthusiastically supported his exhibition scheduled for 13 February. It proved a resounding success and pilot Lim On became the toast of the Colony. 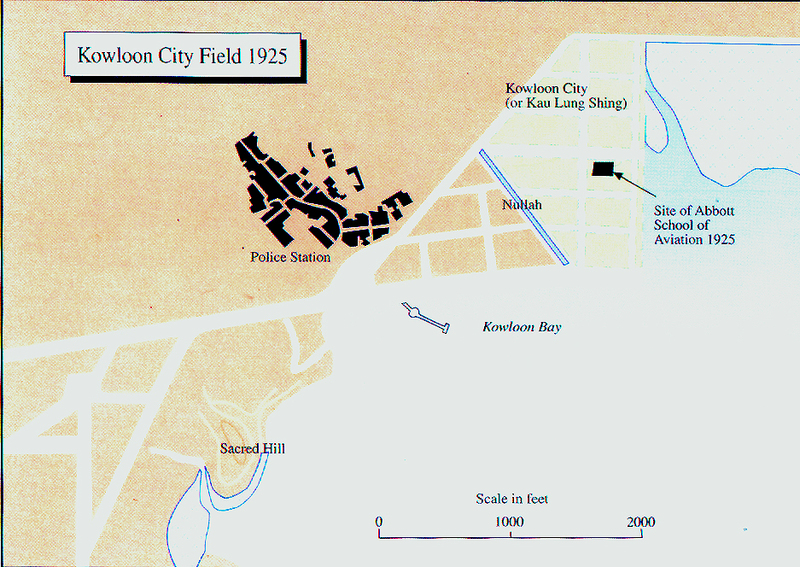 On 17 April 1922 a downwind landing on the small Happy Valley field led to catastrophe. Running out of space he ended in a woodpile with minor injuries to himself but major damage to his Canuck. He consigned her pathetic broken frame to an inhospitable corner in a dark forbidding godown, and in the true tradition of the Chateau d’If, forgot her existence. Mr. Lim took little interest in her worth and accepted Harry’s offer of $HK 2,000 - as is! 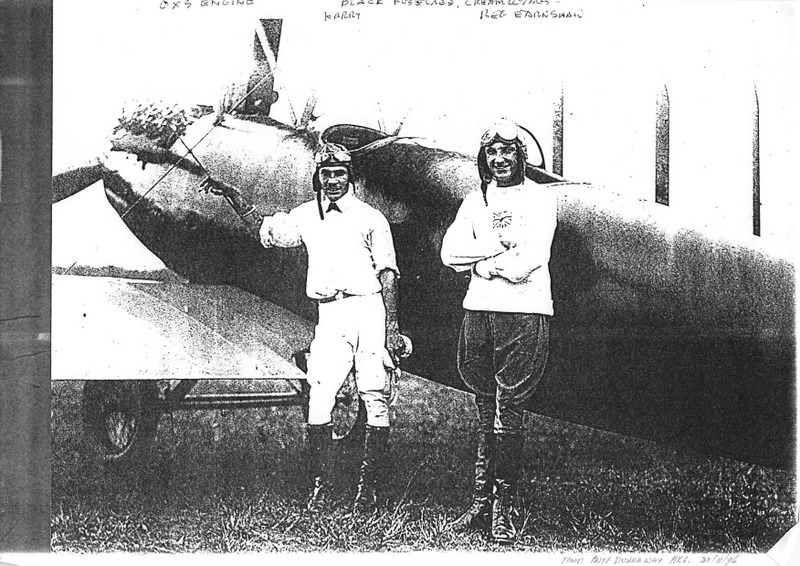 Working round the clock, Reg Earnshaw had her serviceable and Harry test flew her on 24 April 1924. 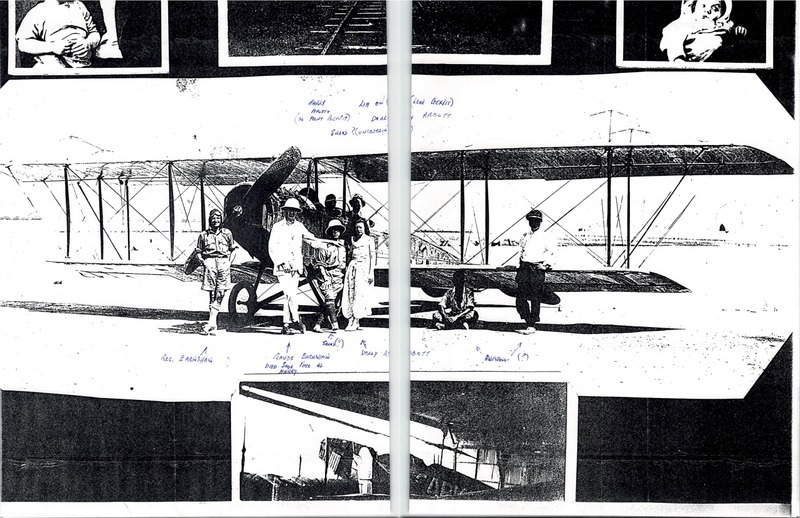 Their company was a going concern and with pupils galore they expanded their fleet with two Curtiss planes - a Jenny JN-4D and a moulded plywood fuselage Oriole. This meant an increase in a staff, including Mr. Lim On, whom Harry called his Sky Demons. High above the racecourse or harbour his Demons walked the wings of their aerial mounts with reckless abandon. The piece de resistance had Harry calmly stepping from wing to wing of formatting planes without a parachute. The South China Morning Post reported it the greatest show in town and tagged him Crazy Harry. The day that celebrates the start of the Chinese Lunar New Year brings widespread festivity to the Sons of Han. 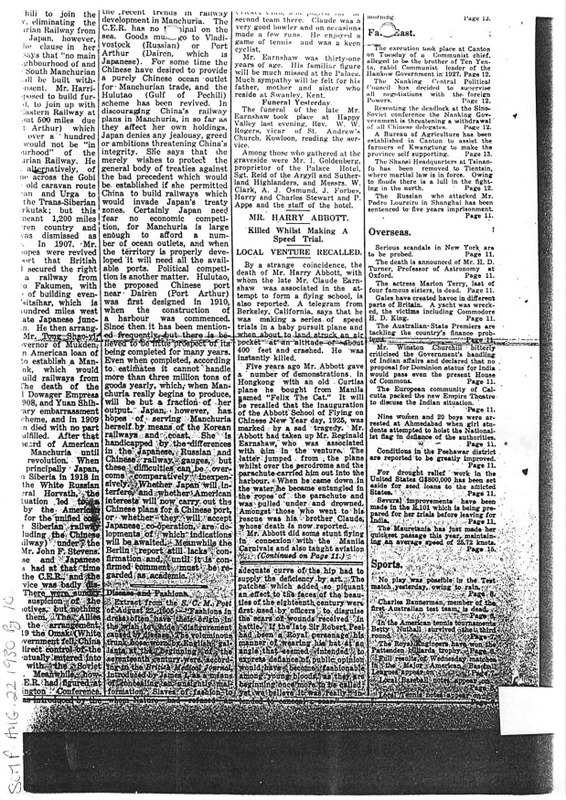 The Year of the Ox for 1925 began on 25 January. 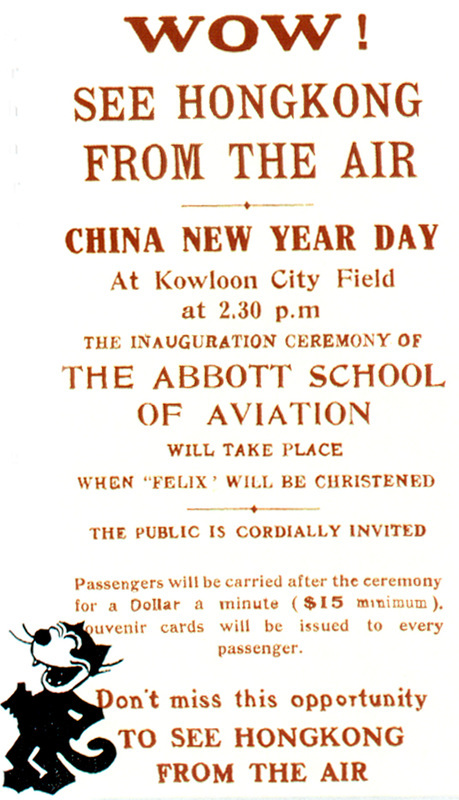 Consequently, Harry decided to dedicate the Abbott School of Aviation to coincide with that date. In the spirit dear to the Chinese heart of making as much noise as possible, he fastened a long string of firecrackers to his plane’s tailskid. As Reg Earnshaw lit the string Harry applied take-off power. The slipstream extinguished the spluttering flame. Harry returned to silence – the failed display was bad joss, but even worse joss lay ahead. The irrepressible Harry shrugged off his disappointment and continued with a scheduled parachute descent. At the last moment his parachutist refused to do the stunt. When Harry asked Reg Earnshaw to do the jump he proved far from enthusiastic, however Harry swayed him with words that he would change it to a soft water landing with his brother Claude in charge of the rescue launch. At the signal from Harry the still reluctant Reg climbed out of the cockpit and then faltered. When he finally released his hold he had passed his best jump point. He safely splashed into the water some distance from the circling pick up launch. Meanwhile, Claude had applied full power towards the new splash down point. In horror he saw the parachute canopy collapse over his brother and drag him beneath the water. 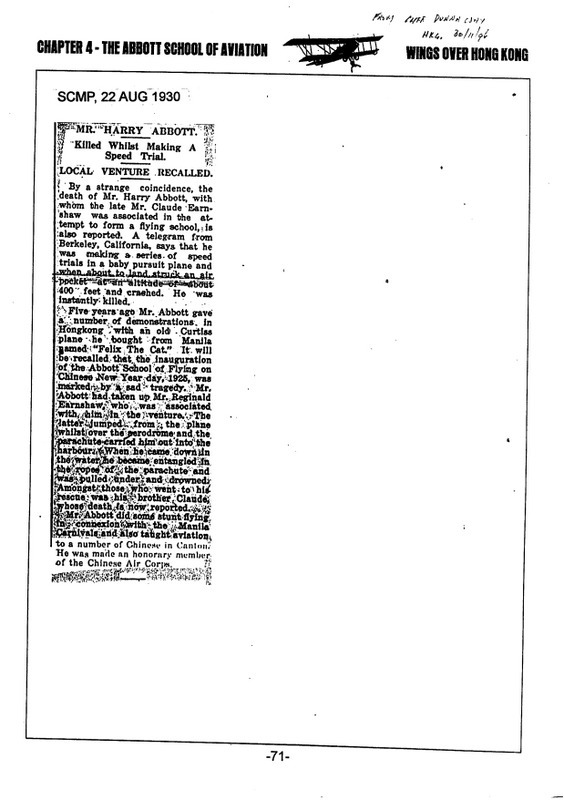 When Claude reached the waterlogged chute and hauled his brother aboard - he had drowned. Some later reports say they never found his body! 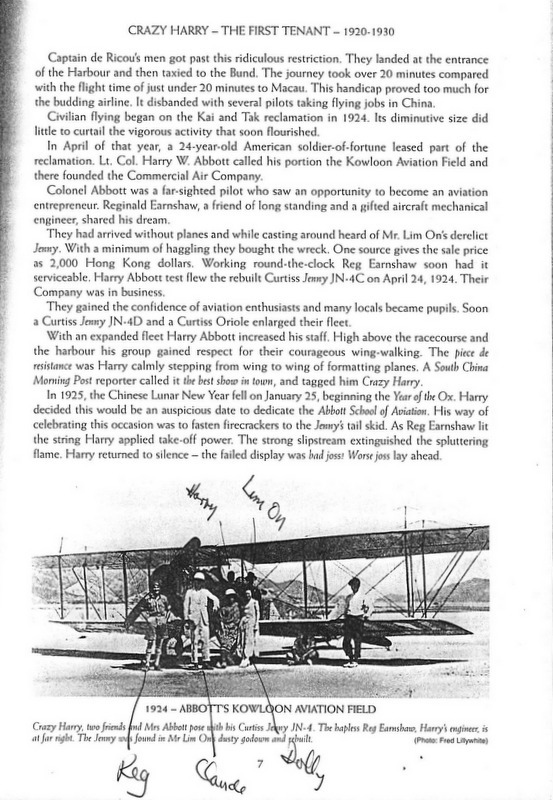 The stories are endless about Harry Abbott - a man given aeronautical gifts beyond the norm. Why did he name his plane Felix the Cat? How did his face become scarred to the bone? Who gave his affable son his name Dan-San? Other writers have answered these questions with justice. 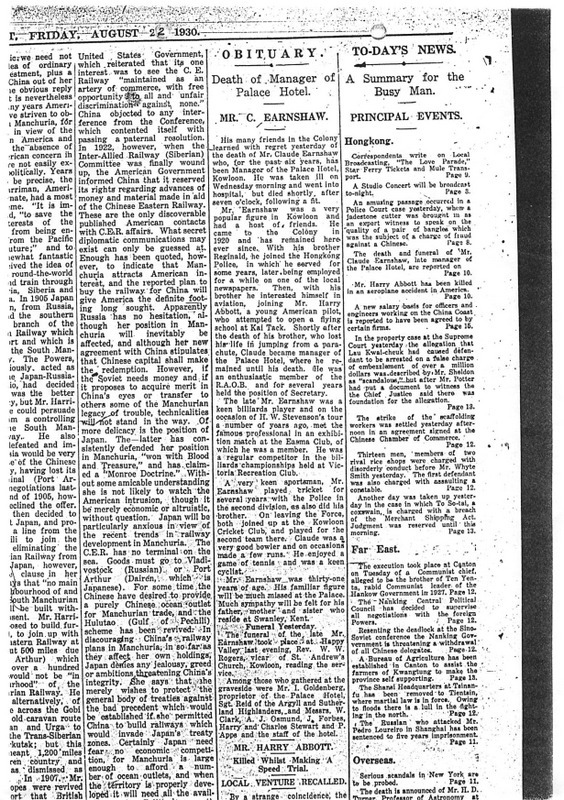 The South China Morning Post of 22 August 1930 introduced its obituary report with three evocative words. Claude Earnshaw had managed the Palace Hotel in Kowloon for the past six years and died following a fit. Harry Wayne Abbott crashed making a speed run in a baby pursuit plane at Berkeley, California. The words were -a strange coincidence. How very perceptive! 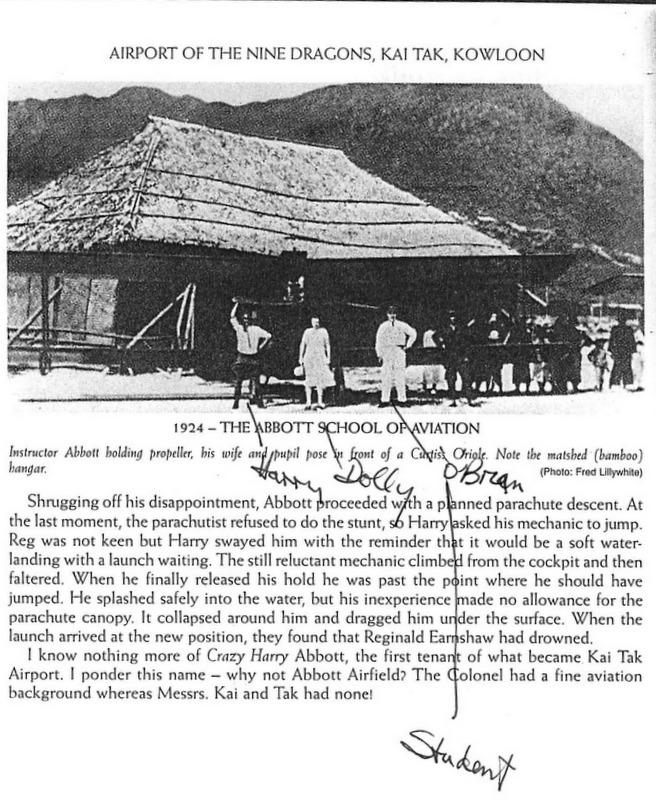 For more on Harry Abott click here.